We are thrilled to announce that DubSkin will perform at this years Arise Music Festival!! 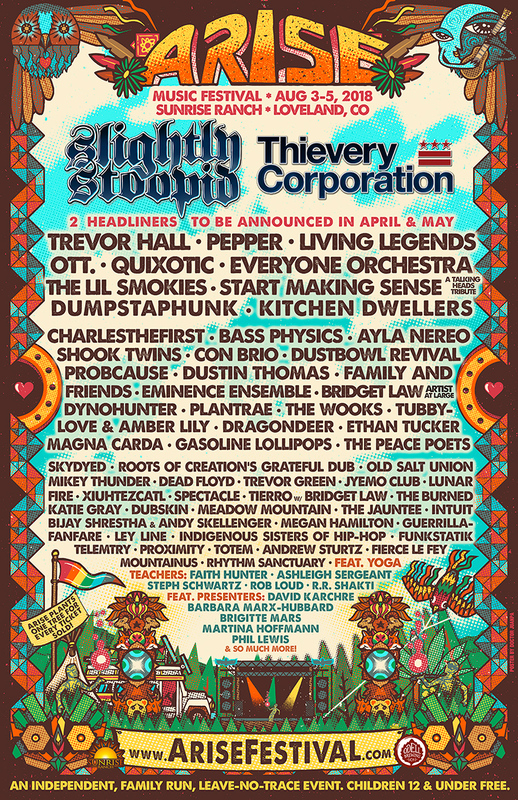 This multi genre festival takes place in the hills outside of Loveland, CO from Aug3-5 in the beautiful Rocky Mountains. Other acts on this years line up include Slightly Stoopid, Thievery Corporation, Trevor Hall & many more TBA. If you haven’t been to this event we HIGHLY recommend it so click the SHOWS tab above for link to tix and we you hope you come join us! !